SLHL asked local landscapers to share plants that are resilient. Nandina Domestica. Jim Meiners, Prestige Landscape. Persian Parrotia. Daniel Mee, Frisella Nursery. Virginia Sweetspire. Bob Graeler, Chesterfield Valley Nursery. Dragon Wing Begonia. Jim Oldani, SummerWinds Nursery. Cransebill "Karmina". Ann Lapides, Sugar Creek Gardens. Hydrangea Paniculata. David Sherwood, Sherwood's Forest. If you lack a green thumb but pine for a lush landscape, try one of these easy-going plants. SLHL asked local landscapers to share plants that are resilient. “Heavenly bamboo, or Nandina Domestica, is a hardy semi-evergreen that has multi-season qualities. 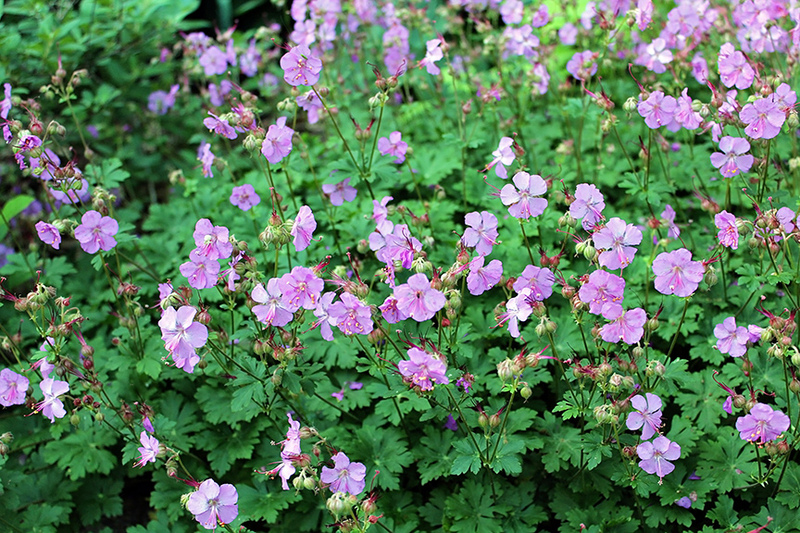 This versatile plant is both drought and moisture tolerant and loves hot sun or shade. 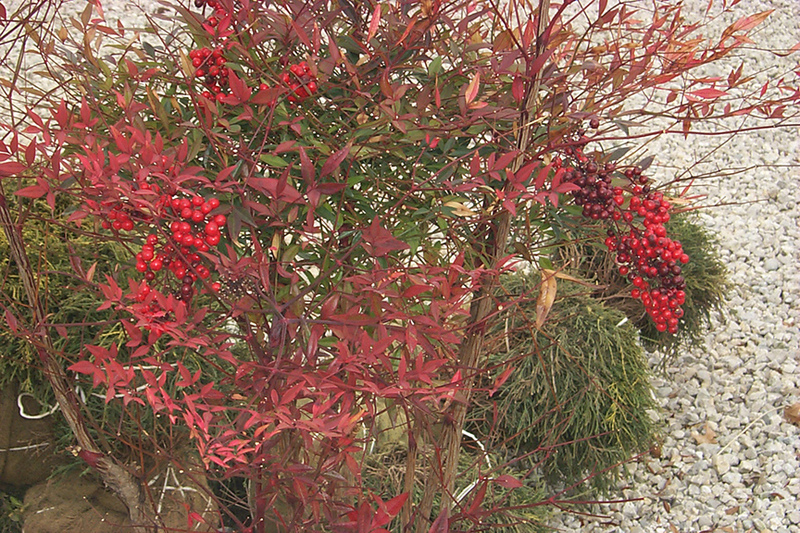 A profusion of small, white spring flowers leads to bright red berries in the fall. In the fall and winter, the foliage is a bright-red color.” Jim Meiners, Prestige Landscape. 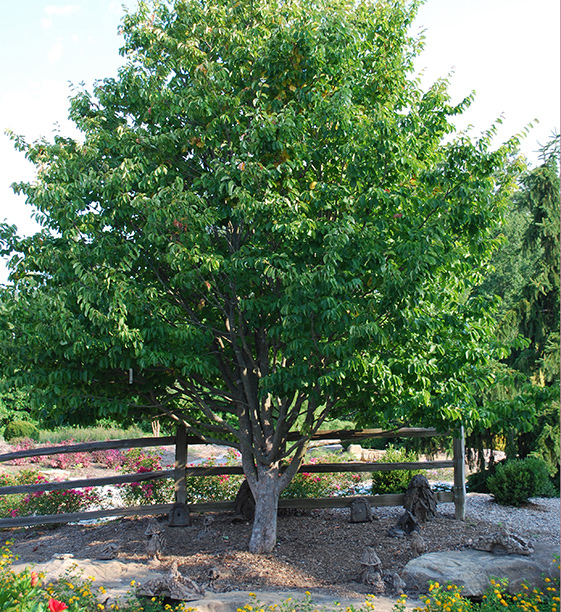 "Persian Parrotia, also known as Persian Ironwood, is an ornamental tree that not only stands up to the St. Louis heat, but once established it can withstand drought better than most trees. The dark-green summer foliage does not burn in our hot summer sun, and the tree is resilient to disease and pests. The Parrotia has nice green foliage through spring and summer, wonderful fall color and beautiful exfoliating bark on an unique branching structure for winter interest." Daniel Mee, Frisella Nursery. 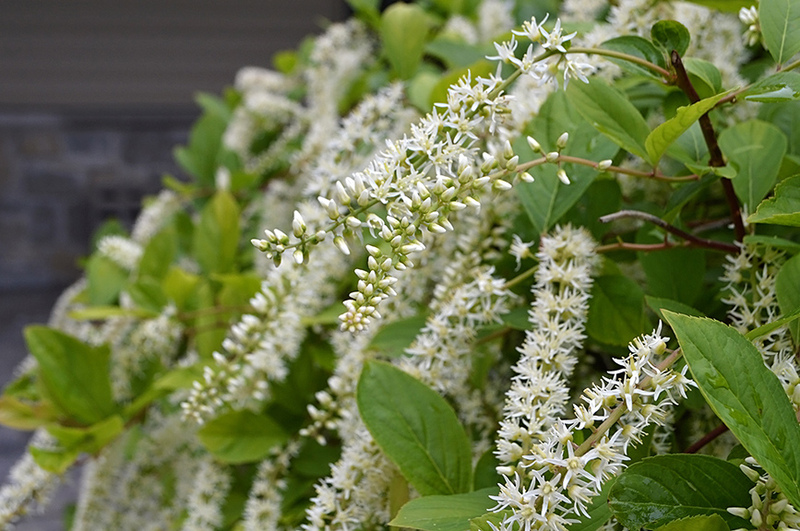 “Virginia Sweetspire, also known as Itea Virginica, is perfect for full sun or partial shade and is a drought-resistant, hardy option for your landscape. It spreads through subsurface runners allowing the plant to take over in areas that die off, keeping it full and healthy. It starts out in summer with a pretty display of fragrant white flowers that cover the shrub, and in the fall brings beautiful foliage that turns garnet-red. The Virginia Sweetspire is available in several varieties suited for multiple applications such as covering large banks, beds and borders.” Bob Graeler, Chesterfield Valley Nursery. 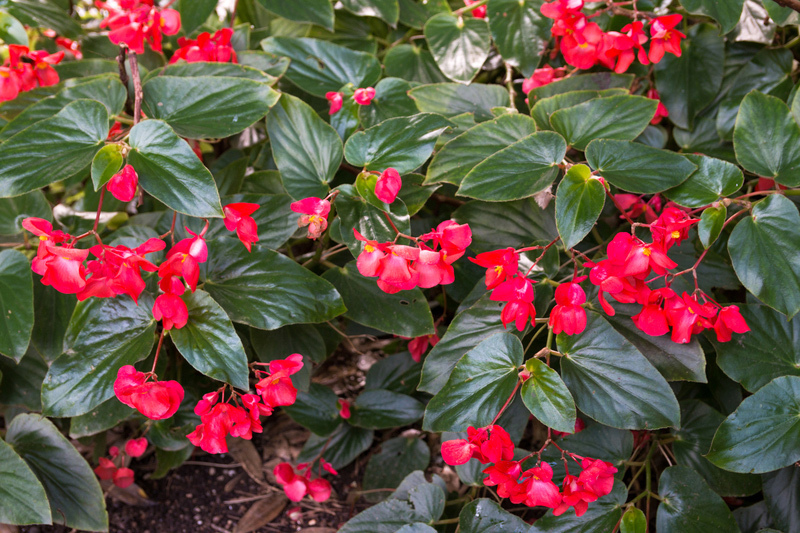 “One of the best plants for sun or shade is the Dragon Wing Begonia. They require little care and bloom continuously spring to fall. Planting a 4" pot will produce a 2' by 2' plant by fall that never stops blooming.” Jim Oldani, SummerWinds Nursery. “For a tough beauty that stands up to drought, heat, humidity or any other beating Mother Nature comes up with, perennial Cranesbill 'Karmina' tops the list. Deep-green, pretty round leaves create dense mats of evergreen foliage. Plants are smothered in late spring and early summer with delightful rose-pink blossoms. In fall and winter, foliage displays hues of ruby and russet red. It makes an excellent, weed-smothering ground cover. Very long lived, it grows in any soil and resists deer and rabbits.” Ann Lapides, Sugar Creek Gardens. 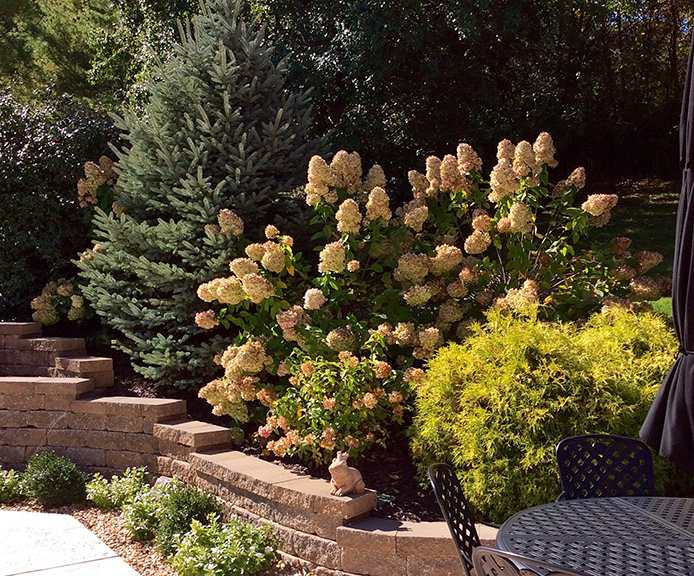 “The Hydrangea Paniculata blooms all summer through fall and requires less water that other types of hydrangeas. There are many varieties to chose from.” David Sherwood, Sherwood’s Forest.